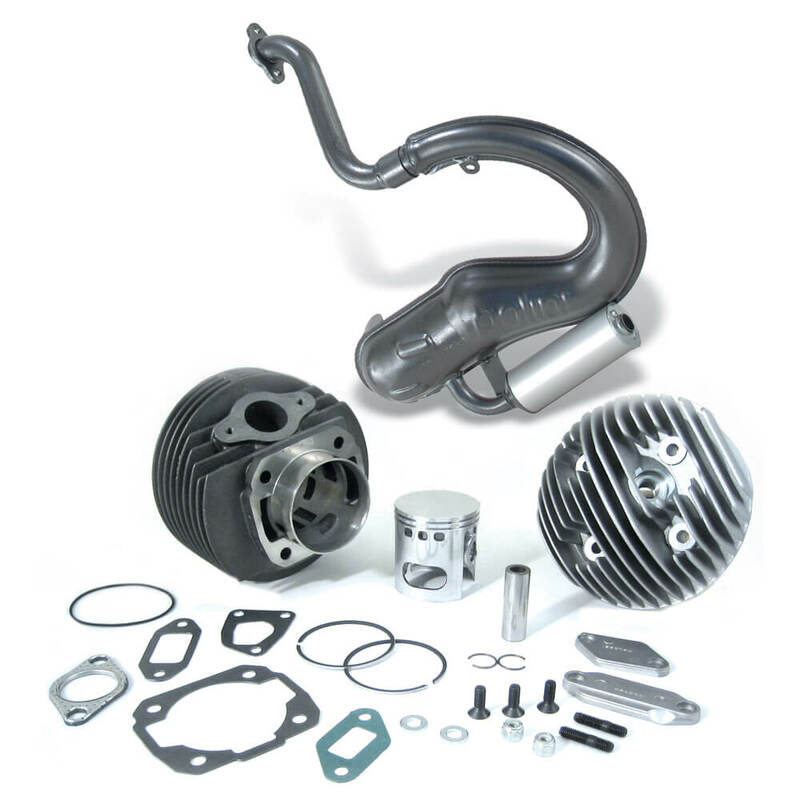 Malossi 134cc Cylinder kit. This is the must have kit for anyone looking to transfer ALL of their power to high RPM. This will give you very little upgrade in your low-mid range but will send you to the moon in the high end. Top of the line Polini pipe gives good looks and great performance via internal baffle system. Adds style and speed to your small frame. All running in methods should be applied; for jetting assistance, see our blog.